Are you ready to take the leap into launching a podcast, or take your podcast to the next level? Would you love to be on one of your favorite podcasts? Then you are going to love this episode! Today, I am talking to my good friend, Farnoosh Torabi, host of the award-winning and top-rated podcast, So Money. She is one of America’s leading personal finance authorities, growing her personal brand as a money expert to Oprah-levels! We talk about what it takes to launch and grow a podcast. Plus, we even share our best tips for how to get on your favorite podcasts! Even if podcasting isn’t your thing, you can apply these tips to just about any platform! Bio: Farnoosh Torabi is one of Americas leading personal finance authorities  hooked on helping Americans live their richest, happiest lives. From her early days reporting for Money Magazine to hosting a primetime series on CNBC and writing monthly for O, The Oprah Magazine and Mint.com, shes become a favorite go-to money expert and friend. Millions have tuned into Farnooshs award winning podcast, So Money, which made its debut in January 2015. On the show she interviews leading experts, authors and influencers  from Tony Robbins to Robert Kiyosaki, Margaret Cho and Tim Gunn  about their financial perspectives, money failures and habits. She also answers listeners personal financial questions each week. Farnoosh was born in Worcester, Massachusetts to immigrant parents who left Iran in the late 1970s in search of a more fulfilling life. Arriving with two suitcases and the promise of a small stipend from her dads university, the Torabis took a leap of faith and settled in the United States hoping to build their version of the American Dream. It was here that her parents furthered their education, found great jobs, became homeowners and instilled in their children the virtues of patience, generosity, hard work and faith. Money may have been tight (really tight), but it was never a taboo in the household and for that, Farnoosh is eternally grateful. Its what ultimately inspired her to lead a mission to help others achieve financial greatness. 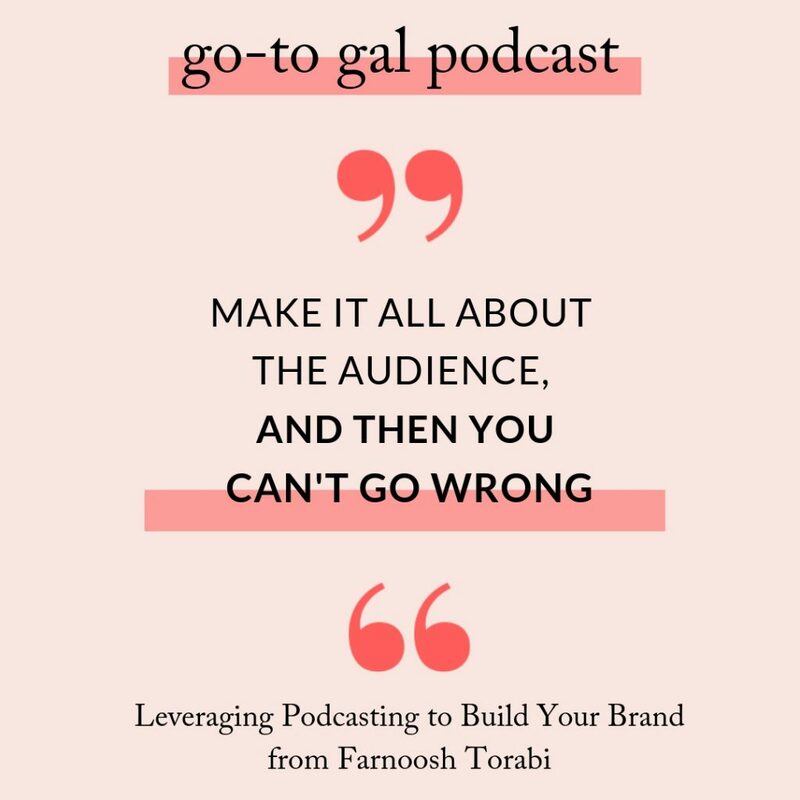 Today, Farnoosh is a sought-after speaker and bestselling author. Each year she speaks at numerous events, companies, organizations and schools. Recent engagements have included SXSW, Tedx, The PA and MA Conferences for Women and The Simmons Leadership Conference. Shes written multiple books, the latest entitled When She Makes More: The Truth About Love and Life for a New Generation of Women. She is the Financial Ambassador for Chase Slate. 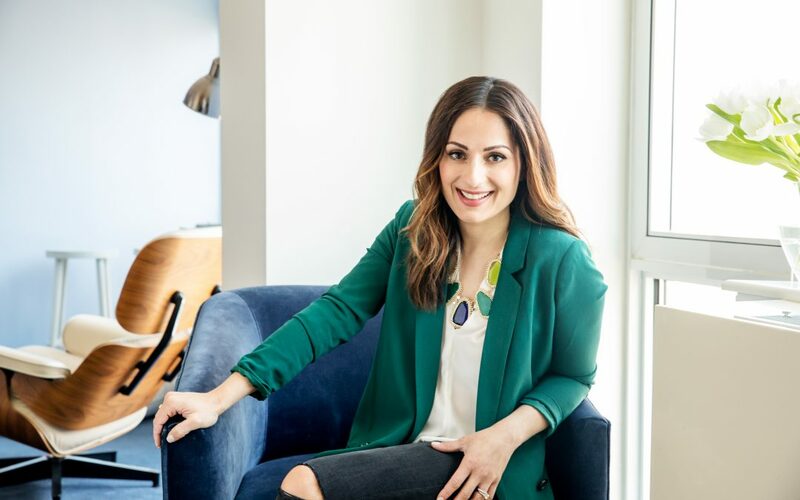 Farnooshs work and advice have been featured in The New York Times, The Wall Street Journal, Fortune, Forbes, Time, Marie Claire, Glamour, Redbook and USA Today. She appears on major news and talk shows. Highlights include the NBC Today, CNN, MSNBC, Good Morning America, Dr. Oz, The View and Live! With Kelly and Michael. She hosted the Webby-nominated web series, Financially Fit, on Yahoo. Shes also served as a money coach on such shows as Remake America on Yahoo!, Bank of Mom & Dad on soapNet and TLCs REAL SIMPLE. REAL LIFE. Farnoosh graduated from Penn State University with a degree in Finance and International Business. She also holds a Masters from the Columbia University Graduate School of Journalism. She resides happily in Brooklyn with her husband and two children. Want access to my vault of all my best free resources?